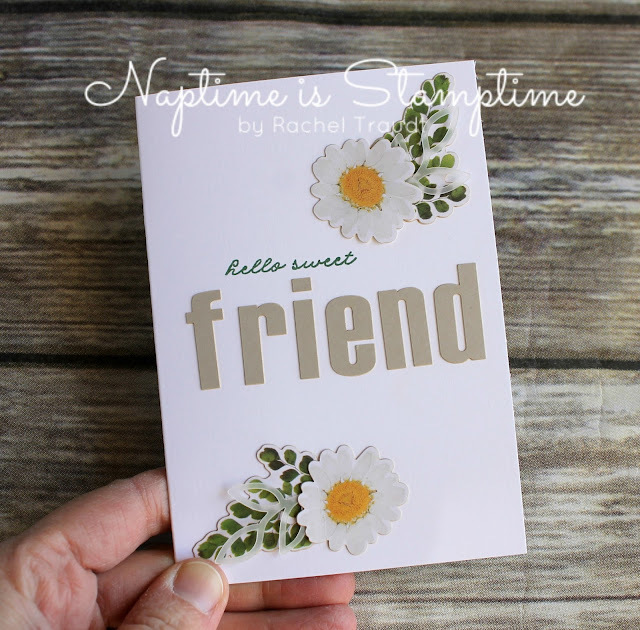 It has been a loooong time since I've shared a Paper Pumpkin kit with you, and that's because I got very behind on putting them together after my second son was born. He's 2 now, and I have another one on the way, so it's about time I start to catch up, right?! It is one of my goals this year to clean up my craft space, and part of that is putting together all of those old Paper Pumpkin kits. Plus putting together the new ones! This month's kit was absolutely beautiful, and I think the cards are even more stunning in person than they are in pictures. 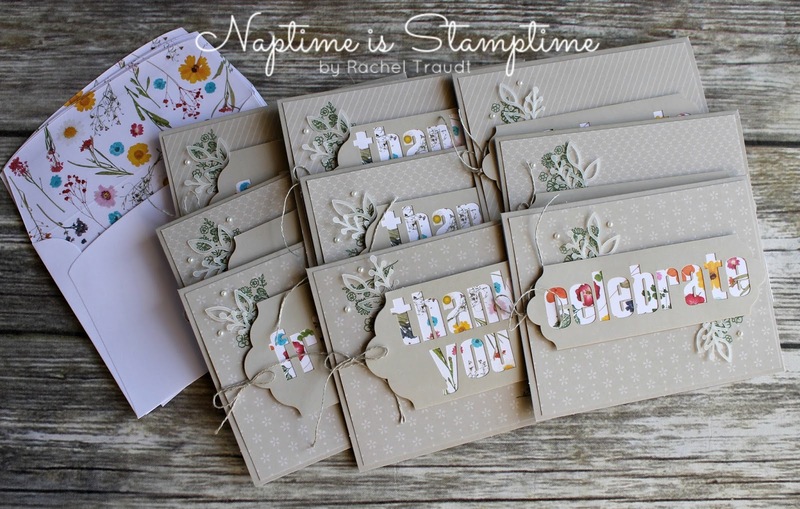 The only change I made was to omit the stamped vellum banner on the cards, because I liked how they looked without it. Take a look! Next month's Paper Pumpkin is going to be a special 5-year anniversary kit. 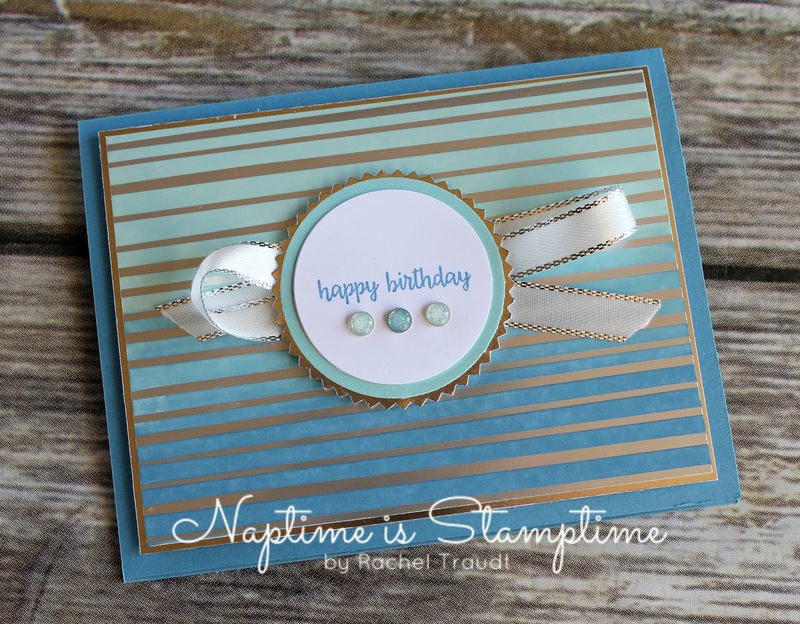 It will come with an extra free gift, valued at $6-8. If you'd like to try it, make sure you subscribe by March 10. You can do that here, or purchase a prepaid subscription in 1, 3, 6, or 12-month increments. 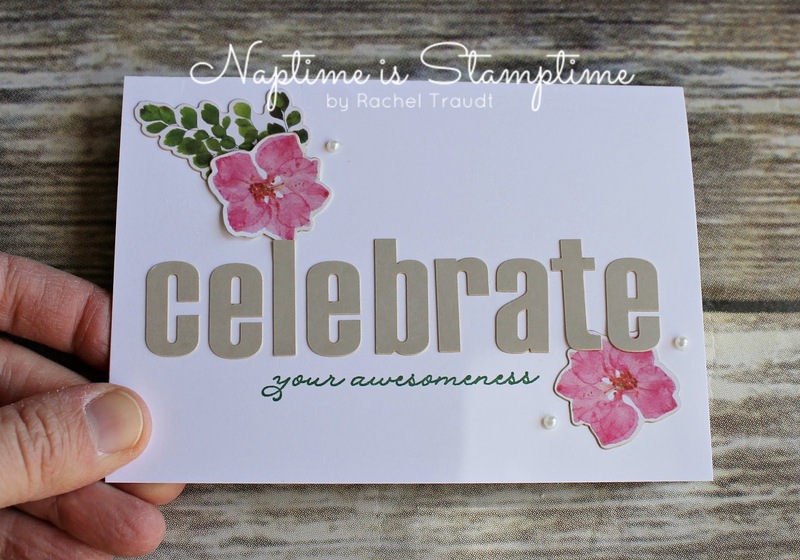 I think this new Springtime Foils Specialty DSP is my favorite Sale-a-bration product. It is so fun to color! Today's card features the silver striped pattern. 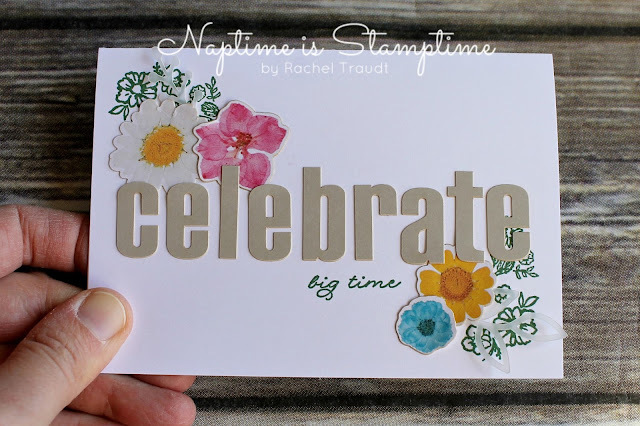 I colored it with my Pool Party and Marina Mist Stampin' Write Markers, overlapping in the middle just a bit to give it an ombre look. I was going for a masculine card, but I'm not sure if I achieved that after I added the ribbon. Leave a comment and let me know what you think! Have you picked out your favorite Sale-a-bration items yet? Today, there are 3 BRAND NEW options available, and one of them just might be your new favorite! 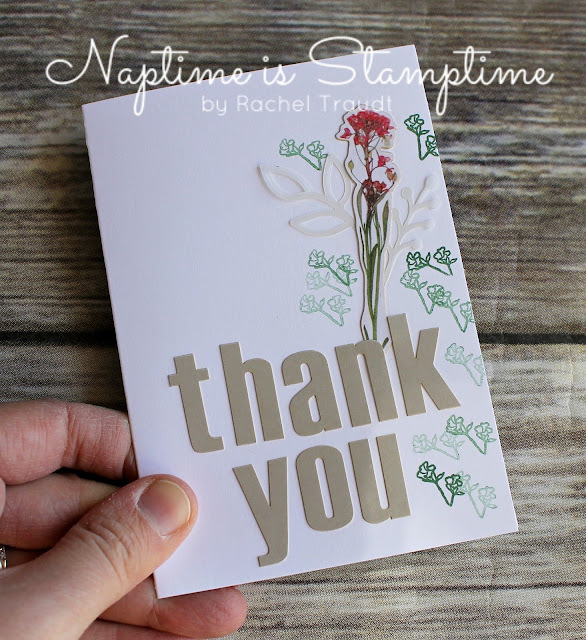 I used two of the new products on my card today, and I think you are going to love it! 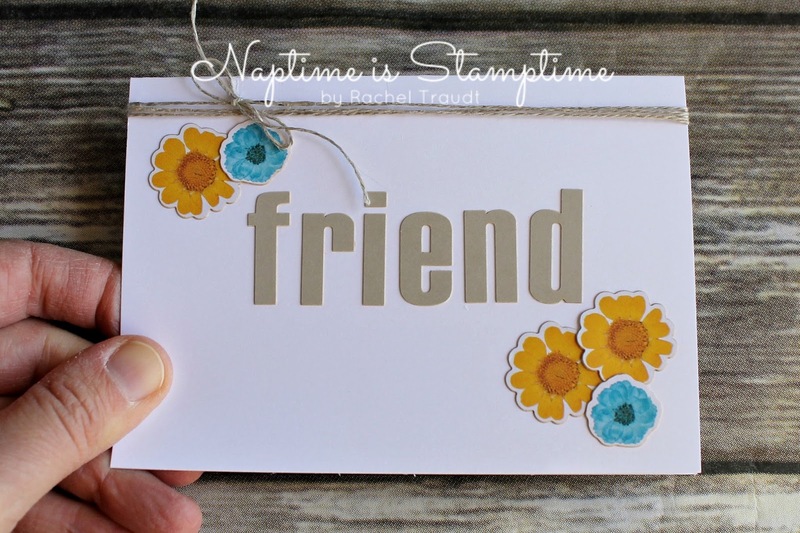 The background for this card was made using the Springtime Foils Specialty DSP, which you can get for free with a $50 purchase. The paper is white with rose gold embossing. Other patterns include gold and silver as well. I colored it with my Stampin' Blends markers. I used light and dark Night of Navy, light Old Olive, and light Pool Party, plus the Color Lifter. 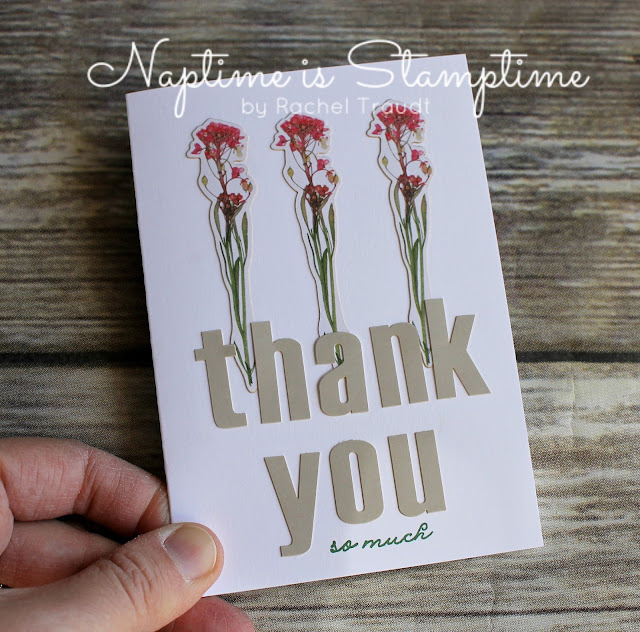 One thing I discovered while coloring was that the Stampin' Blends will color on the foil, and it doesn't rub off like our regular ink. I was able to get quite a bit off with my Color Lifter, but a warning if you try the same. 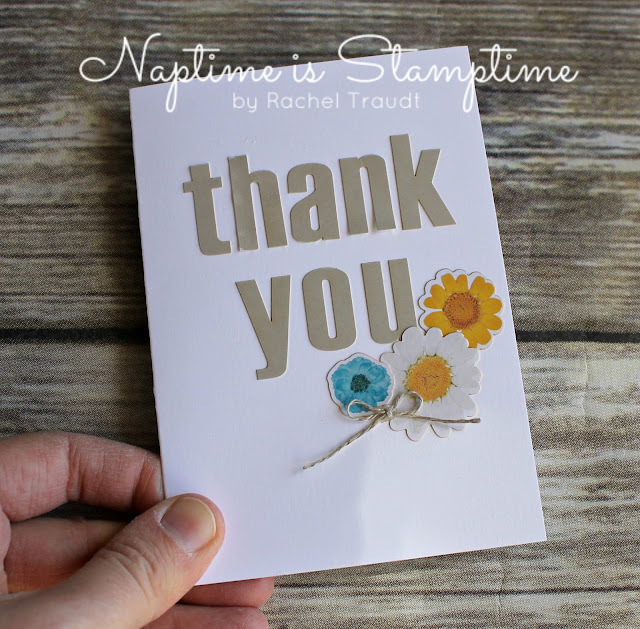 I asked my demonstrator friends, and got some good tips. If you use Stampin' Write Markers or ink pads with a sponge or brayer, you will be able to rub the excess ink off of the foil. Stampin' Blends can be used, but you'll have to take care when coloring. Or use the Color Lifter trick! 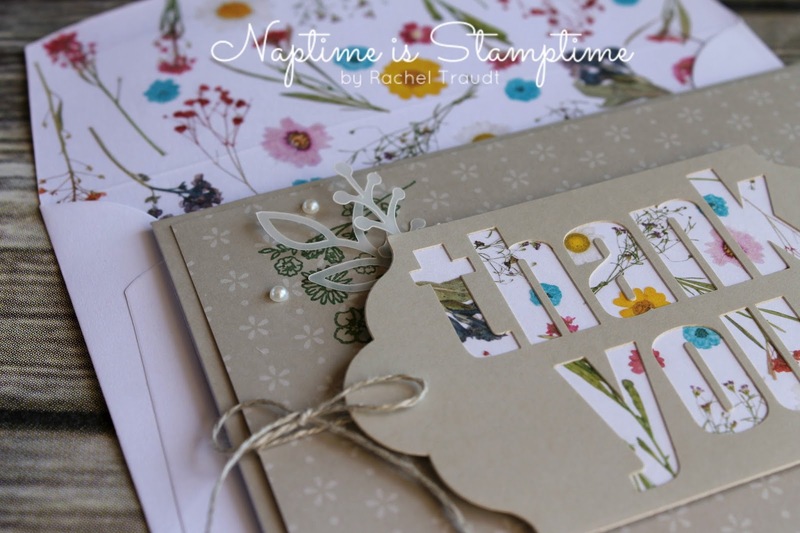 The sentiment is from the new stamp set Blossoming Basket. 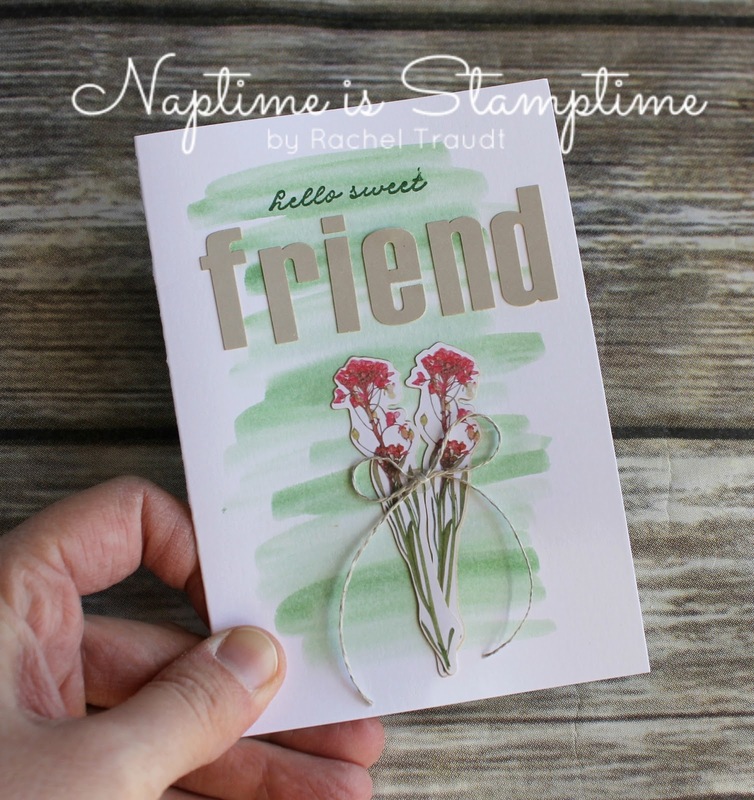 It comes as part of a bundle that you can earn for free with a $100 purchase. The other half of the bundle is the Basket Weave Dynamic Textured Impressions Embossing Folder. Overall, this card is pretty simple. The paper really steals the show! If you'd like some for yourself, you can shop in my online store here. As promised, today I am sharing the 'boy' version of the Valentine treat boxes I'm making for my daughter's classmates. 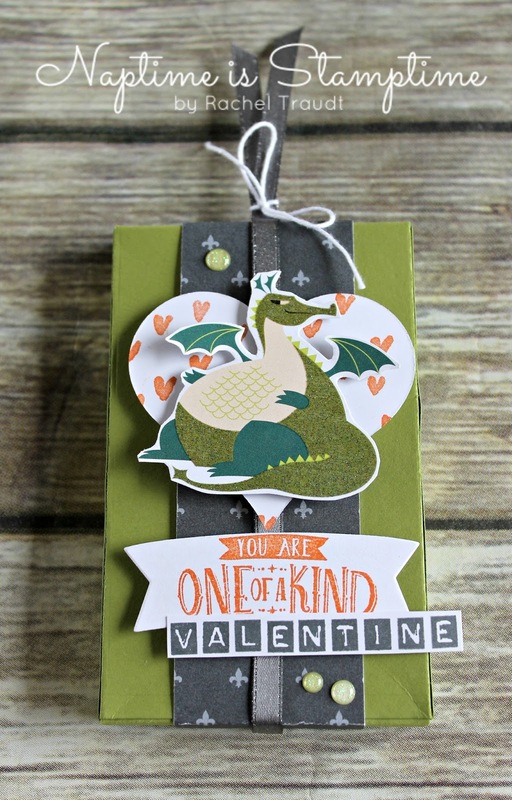 I stuck with the Myths & Magic suite, and she voted for dragons. I fussy cut the dragons out of the Myths & Magic Specialty DSP. They're sparkly and fun! The little hearts come from the Heart Happiness stamp set, which I think is a staple! 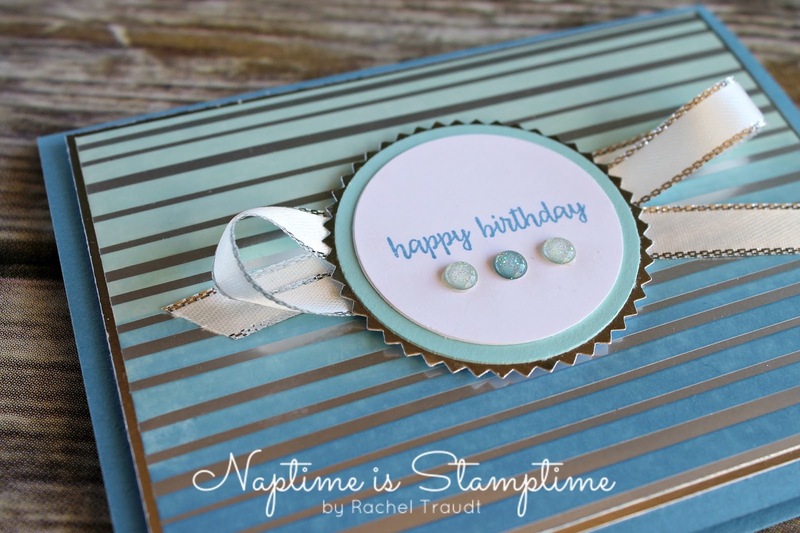 And of course that Basic Gray Shimmer Ribbon is from the pack you can get for free from the Sale-a-bration Catalog with a $50 purchase. It's gorgeous! 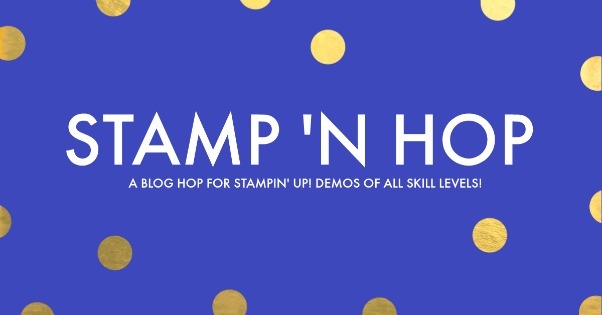 Welcome to the first ever Stamp 'n' Hop blog hop! 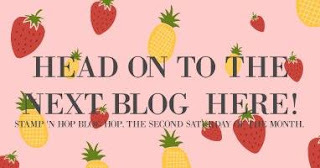 If this is your first time visiting my blog, I'm glad you're here. My name is Rachel, and I stamp while my kids nap in Gilbert, Arizona (US). This blog hop will happen once a month, and this month we are sharing some of our favorite products from the Occasions Catalog. 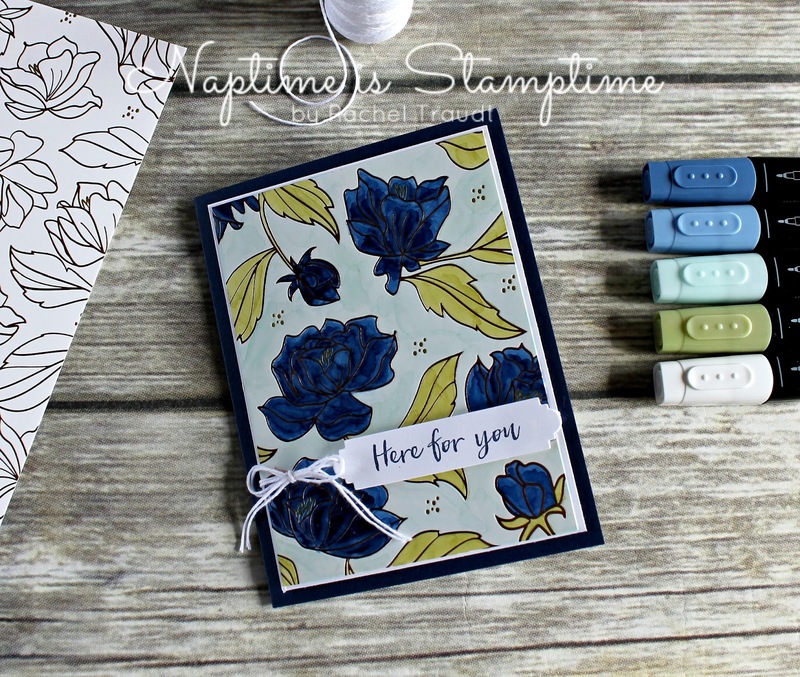 I used a few of my favorite products from the Occasions Catalog - the Petal Palette stamp set was used for the greeting, and the hearts come from the Heart Happiness stamp set. 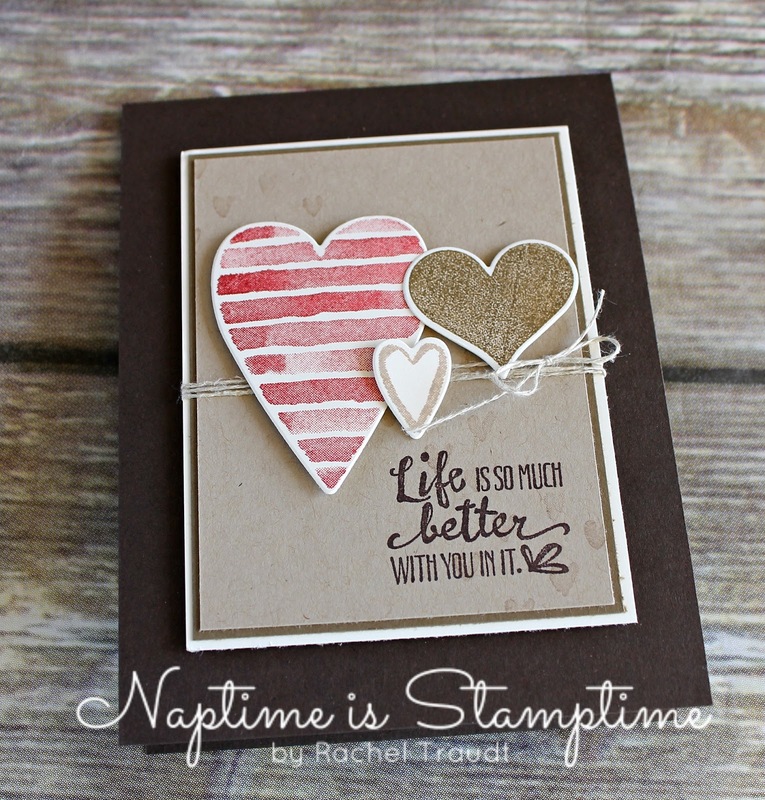 I LOVE that striped heart! 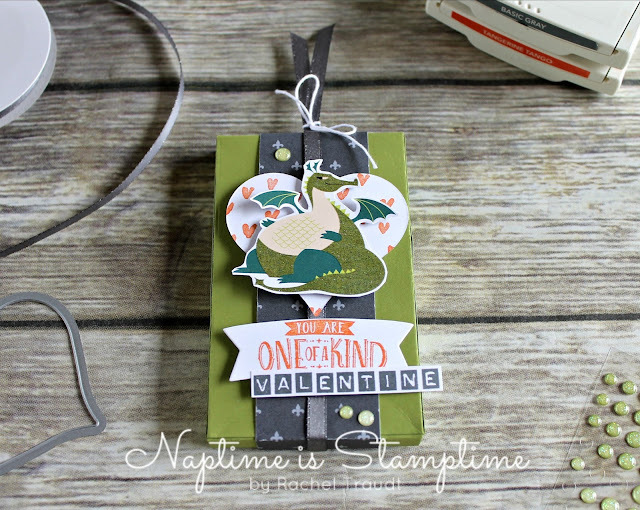 The Lots to Love Box Framelits and Sweet and Sassy Framelits made cutting the hearts out super easy. 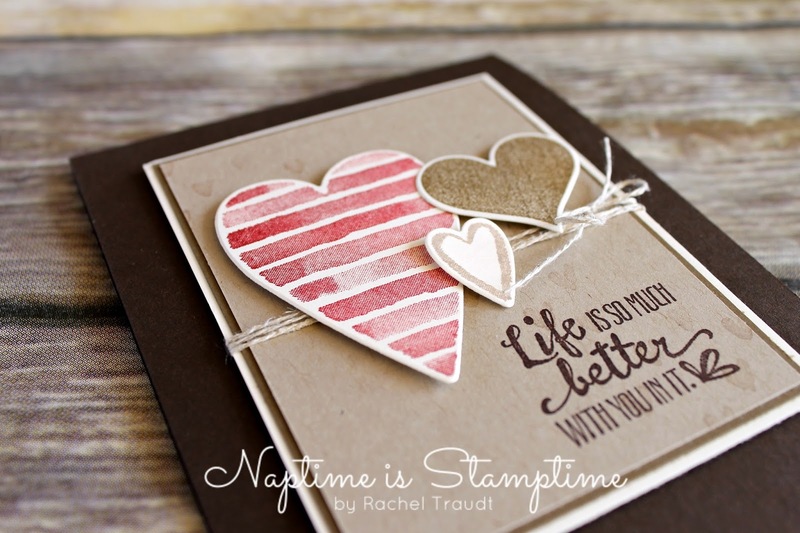 And did you notice the tiny little hearts on the Crumb Cake background piece? I used Crumb Cake ink and stamped off once for a very subtle look. 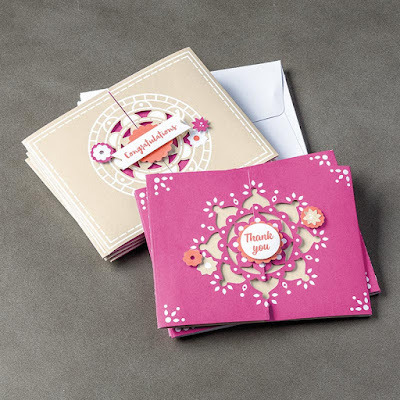 Those hearts come from the Heart Happiness stamp set too. You can find a full list of supplies at the end of this post. I can't wait to hop along with you and see what everyone else has created! Rachel Traudt - You're here! 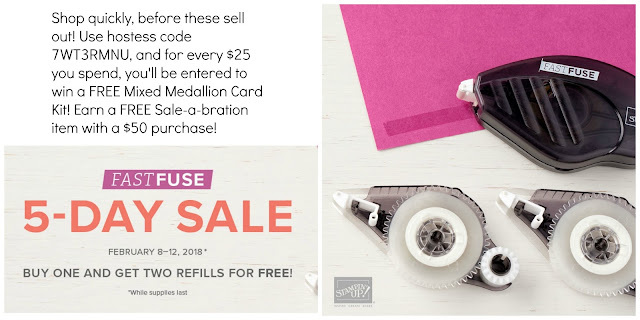 *EDIT* The Fast Fuse has sold out, but I am still doing a giveaway for the Mixed Medallion Card Kit! Every $25 you spend using hostess code 7WT3RMNU earns you one entry to win! From now through February 12, while supplies last, you can get 2 Fast Fuse refills for FREE when you purchase one Fast Fuse Adhesive. This is an awesome deal! You get 40+ yards of Fast Fuse for free, a $15 value, when you purchase a $10 Fast Fuse Adhesive. Plus, when you spend $50, you will also earn a free Sale-a-bration item! 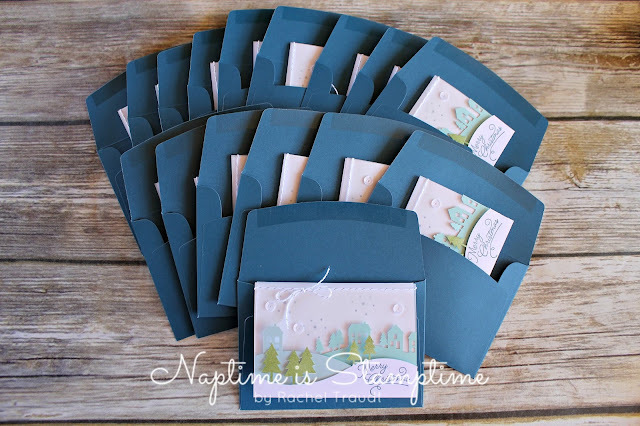 I am running an extra incentive during the sale - for every $25 you spend using hostess code 7WT3RMNU, you will be entered to win a free Mixed Medallions Card Kit! This incentive includes all orders placed between now and February 12, even if the Fast Fuse sells out before then. I expect it to go fast, so shop early if you want in on this deal! Happy Tuesday! If I'm being honest, Tuesday is usually the worst day of my week. I actually love Mondays and am so productive... I wish that would carry into my Tuesdays. Oh well, that's not why you're here, is it? 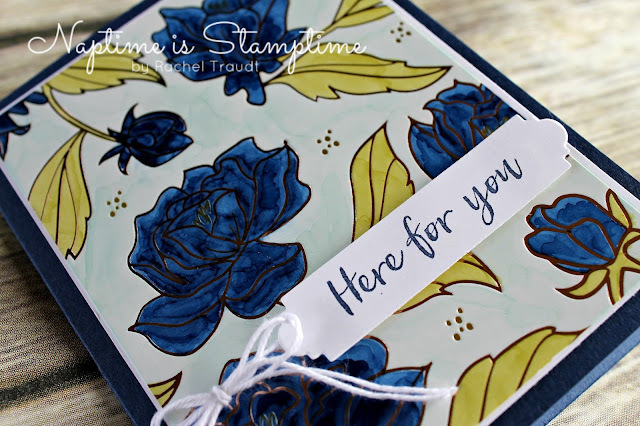 I am participating in the TGIF Challenge again this week, and this time it is a color challenge. 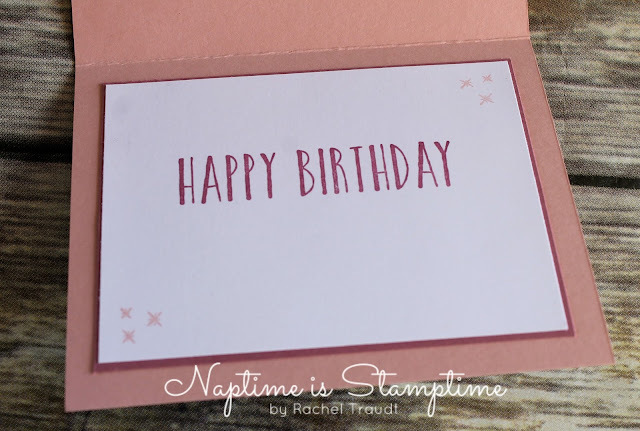 These colors are obviously girly, so I chose to use one of my favorite suites in the Occasions Catalog, the Myths & Magic Suite, and make a birthday card for one of my nieces. It doesn't show well in the picture, but I used Wink of Stella on the unicorn to add a little sparkle. 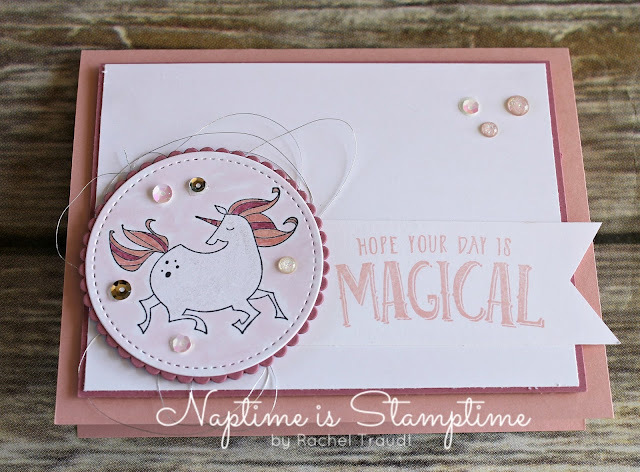 The pink background behind the unicorn was done using my light Pink Pirouette Stampin' Blend marker. And I couldn't stop without finishing the inside of the card. 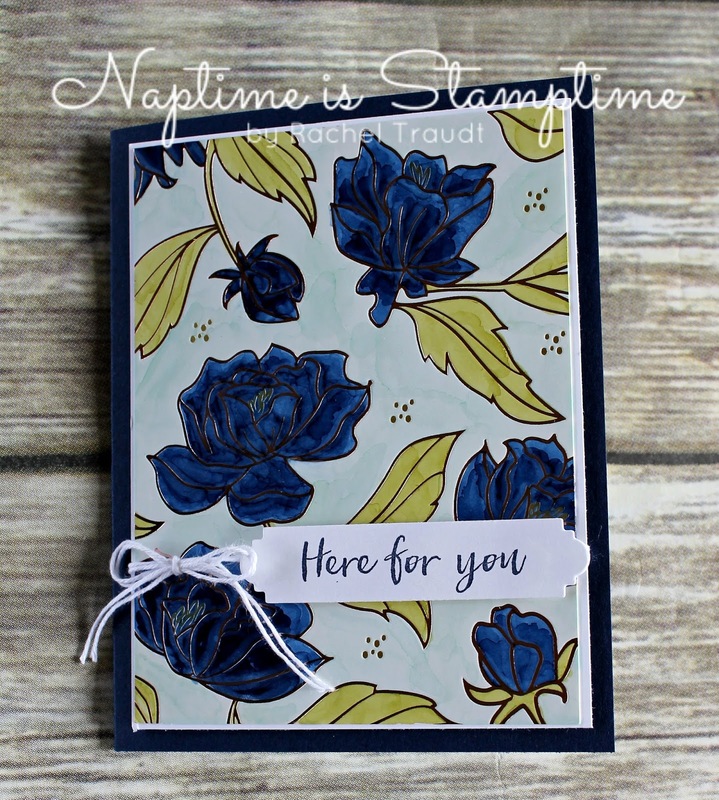 The greeting is from the Perennial Birthday stamp set - a beautiful set that will stretch much farther than the kit it coordinates with! I hope you enjoyed my card, and make sure to stop by and check out the other designs using these colors on the TGIF Challenges page. 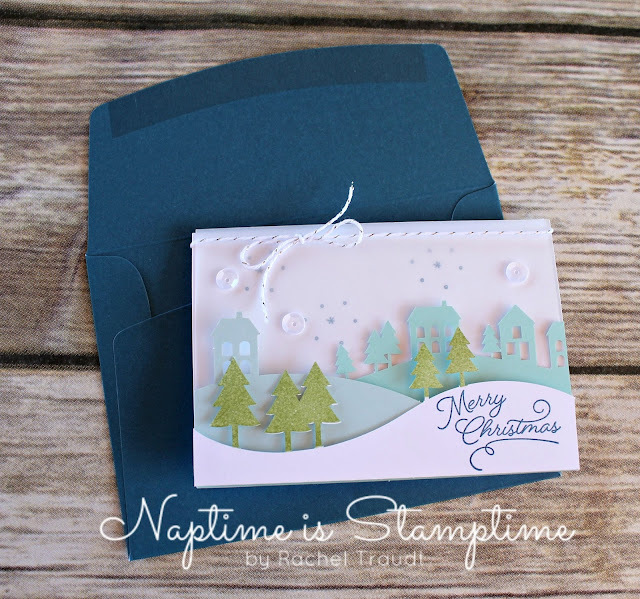 You've probably heard me say before that I love to send Christmas cards. And I love to make them. Every year, I try to work ahead, but they always get out later than I want because I have SO many to make. So this year, I decided to make 15 every month, and this way I will be ready to mail my cards by the beginning of December. I plan to share each month's cards with you here to hold myself accountable, and because it's fun to share! Now I'm not going to lie, when my youngest was born 2 years ago, I got a little bit behind on my Paper Pumpkin kits. 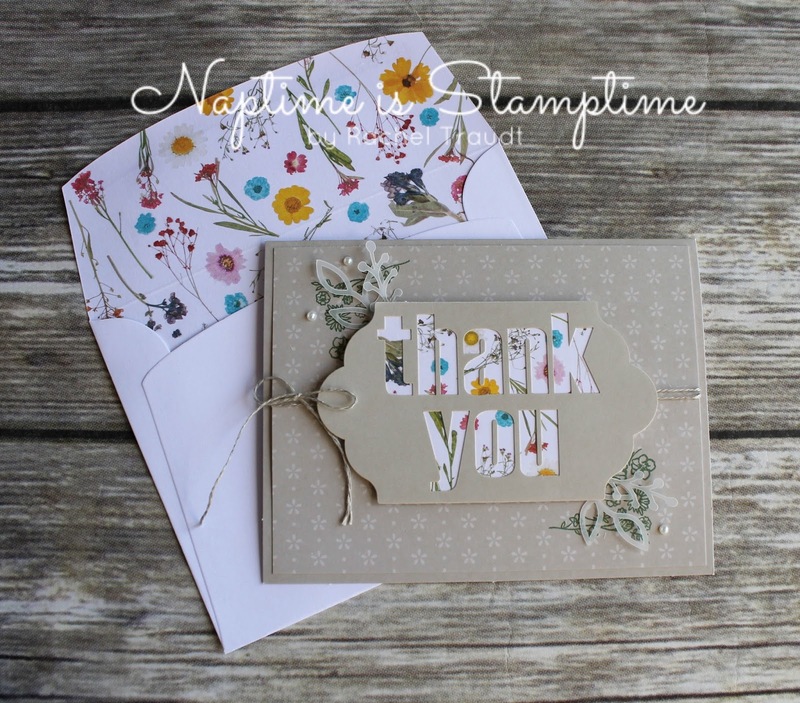 But the kits are awesome every month, so of course I will keep getting them! One of my other goals for this year though, is to make up the stack of kits that is sitting on my shelf. I decided to kill two birds with one stone, and make up an old kit that I happened to have two of - making 16 Christmas cards and exceeding my goal of 15 cards each month! 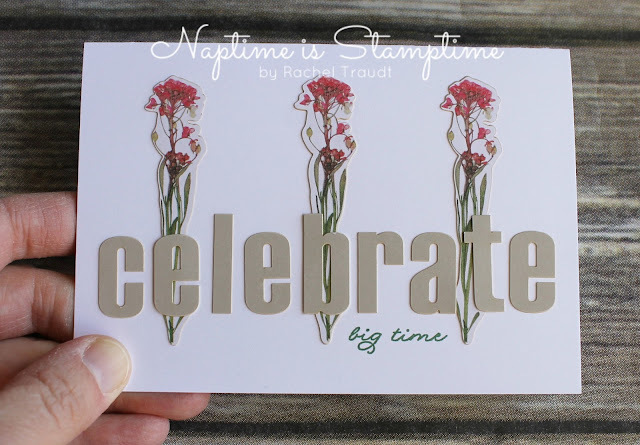 Right now is a great time to purchase a prepaid subscription - with our 3, 6, or 12-month subscriptions, you also earn free Sale-a-bration items! 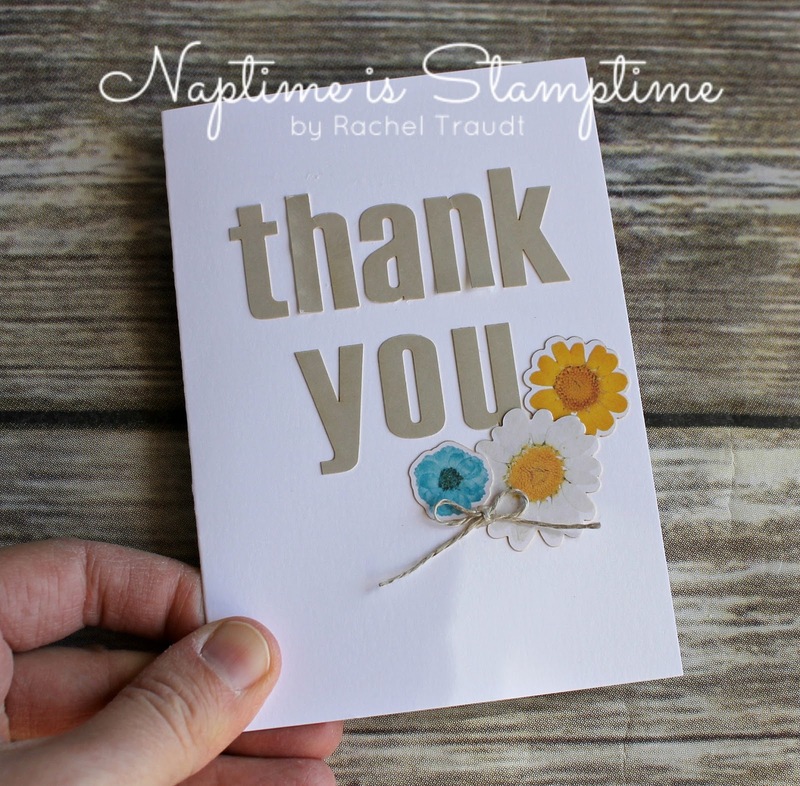 I always purchase a 12-month subscription during this time of year, up my order to $250, and cash in on the extra $25 of hostess rewards that are also available during Sale-a-bration. I just placed that order today, so I'll be doing a live video in my Facebook group sometime next week to share what I got and give you all the details.